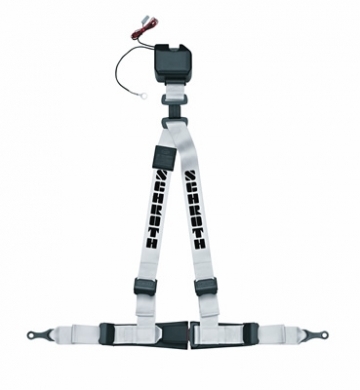 Schroth Limited Edition White Tiger Autocontrol. Features all black hardware, white webbing with black lettering. Comes with White Leather pads that have the Schroth Logo embossed on them. As seen on Street Tuner Challenge in the ABD Racing GTI, these belts look amazing and do their job just as well. Perfect for the distinguished street car that needs a little extra touch.